This website is dedicated to those who love electronics and like to share their projects with others. Here you can find information related to electronics and also can share your ideas with others. You can discuss or debate on a particular topic related to electronics. Most of the projects or tutorials will be based on Arduino. Our aim is to bring all the projects made by many people around the globe at a single place for the convenience of readers. We don't take any credit for some of the projects shown on this website. 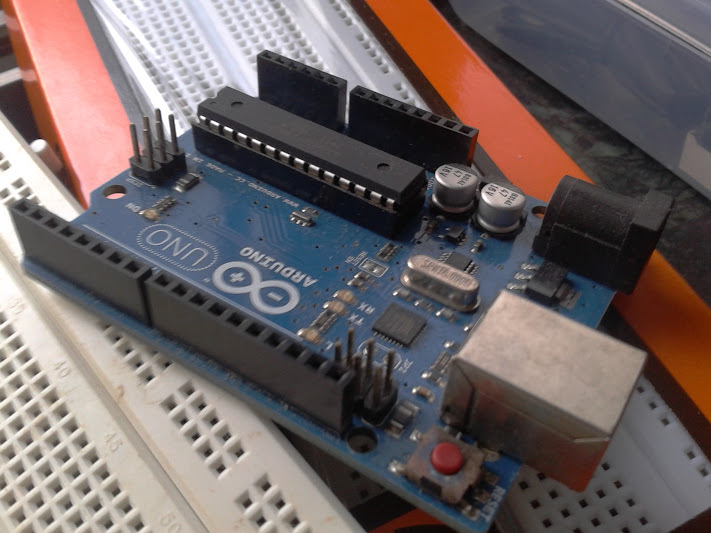 For arduino projects head over to the 'Arduino Projects' tab. LETS GET STARTED !! Arduino is an open-source electronics prototyping platform based on flexible, easy-to-use hardware and software. It's intended for artists, designers, hobbyists, and anyone interested in creating interactive objects or environments. Arduino can sense the environment by receiving input from a variety of sensors and can affect its surroundings by controlling lights, motors, and other actuators. The microcontroller on the board is programmed using the Arduino programming language (based on Wiring) and the Arduino development environment (based on Processing). Arduino projects can be stand-alone or they can communicate with software running on a computer (e.g. Flash, Processing, MaxMSP). The boards can be built by hand or purchasedpreassembled; the software can be downloaded for free. The hardware reference designs (CAD files) are available under an open-source license, you are free to adapt them to your needs.